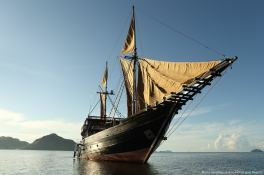 Alila Purnama is one of the most luxurious charter yachts operating in Asia offering accommodation for up to 10 guests. 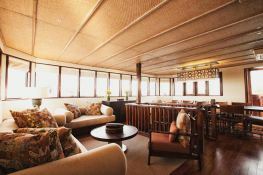 Her master cabin is located on the upper deck and offers a 180 degrees panoramic view with an adjoining spacious balcony and a terrace with deckchairs and sun loungers. The bathroom has a bathtub, two sinks, a shower and a separate toilet. 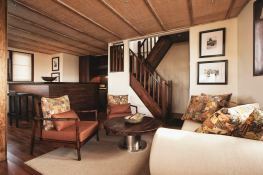 Four cabins are located on the lower deck, each with an ensuite bathroom. 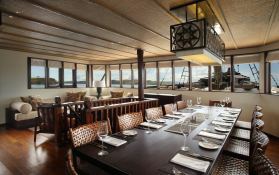 A library is located on the upper deck and an outdoor lounge area is located in front of the bar. With a therapist on board, customers can succumb to the soothing pleasures of a massage, on the yacht or on a secluded beach. 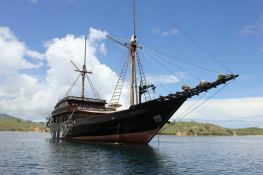 Alila Purnama is fully equipped for scuba diving with certified divers PADI and a range of courses ranging from Advanced Open Water Diver course to more than 16 specialties. For more Alila Purnama offers you activities such as kayaking, fishing, water skiing, village visits complete with cultivated pearl farms or barbecues on the beach. 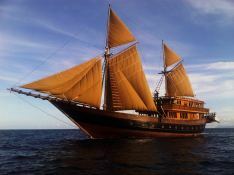 This Alila Purnama is available for yacht charter with a base price of 77 000 $ (approximatly 68 277 €).